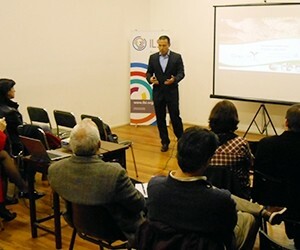 Capacity building in this particular area has been identified as a priority for ILSI Argentina, that’s why our activities focus on this aspect. 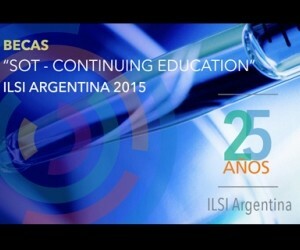 As part of its 25º Anniversary celebration, ILSI Argentina established a fund to allow local toxicologists from public organizations to take SOT Continuing Education Courses. This initiative, gave the opportunity to three toxicologists from Argentina, who were able to choose two SOT courses each. 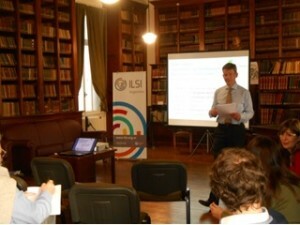 Workshops on “Subs titution Candidates”, “Endocrine Disruptors” and “1107/2009 Regulation in EU”. Dr. Euros Jones, Director of Regulatory Affairs at ECPA (European Crop Protection Association) presented the local regulation for registration of products for crop protection in the European Union. 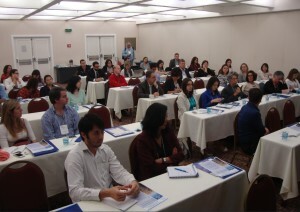 The main objective of this workshop, held in Sao Paulo, Brazil during September 16th and 17th , 2015, was to build on the previous international workshop held in Buenos Aires in 2013 to discuss how the Codex alimentarius’ “Principles for the Risk Analysis of Foods Derived from Modern Biotechnology and Guideline for the Conduct of Food Safety Assessment of Foods Derived From Recombinant-DNA Plants”, are being applied in countrie s of Latin America, where regulatory decisions as regards genetically modified (GM) foods are being taken. This meeting allowed regulators and risk assessors to: (1) share how GM food safety assessment is currently being addressed in their countries and how the Codex Alimentarius guidance has been applied; and (2) to discuss information and data requirements for GM food safety assessment in the context of harmonization. The workshop resulted in a consensus report that summarized the general conclusions and recommendations, which would be used for the continuity of the work and follow up activities. Dr. Mauricio Rodriguez, Scientific Affairs Director of CropLife Latin America, gave a presentation on Endocrine Disruptors. During the meeting, he addressed the situation in Europe; the position of the industry and the impact on agricultural exports. Comparative Approaches to Safety Assessment of GM Plant Materials: A road toward harmonized criteria?